Paper-based Clay perfect for our IOD Decor Silicone Moulds. Create intricate vintage designs, simply apply the clay into the mould and release. Air dry. This clay is not intended for baking. Do not bake. 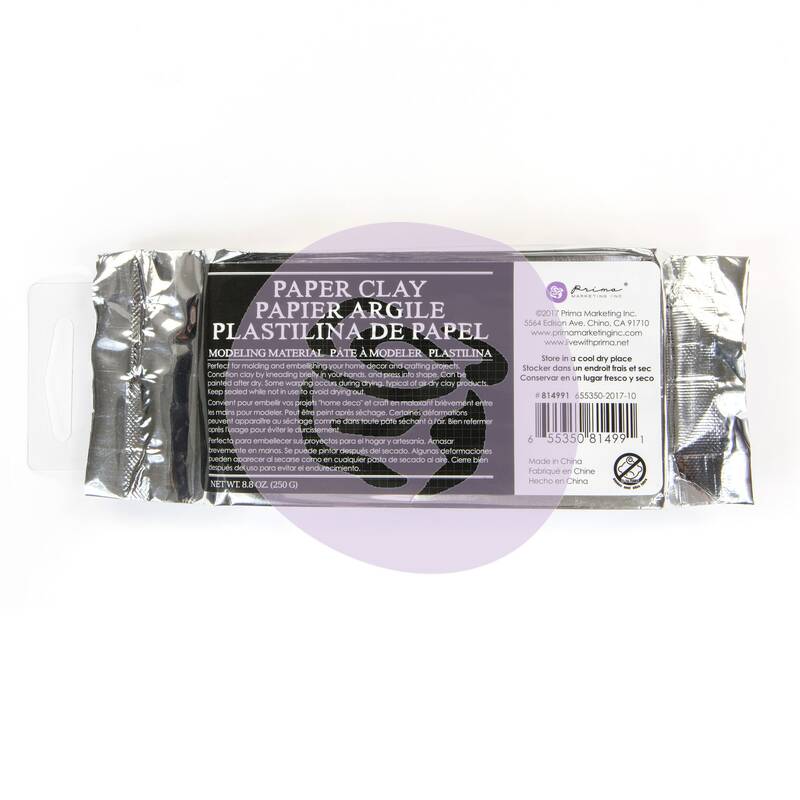 Paper Clay may dry out a bit even in a sealed package. Should you find this product to be a bit dusty or crumbly, please knead in a few drops of water to bring it back to a workable consistency. Projects in process can also be misted with water from a spray bottle to prevent unwanted drying until completed. If rapid drying of an item is desired, Paper Clay can be placed in a 250 degree oven for 15 minutes.